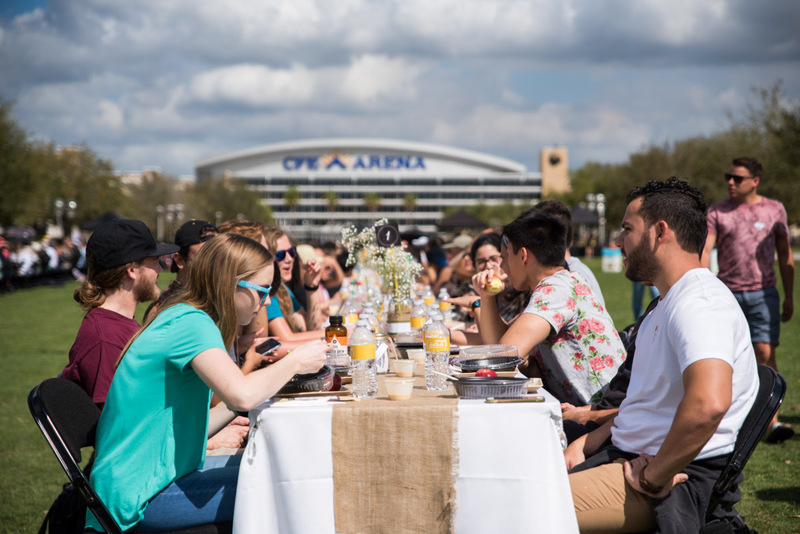 The second annual Gather Luncheon brought together 500 students on Memory Mall for a free three-course meal. 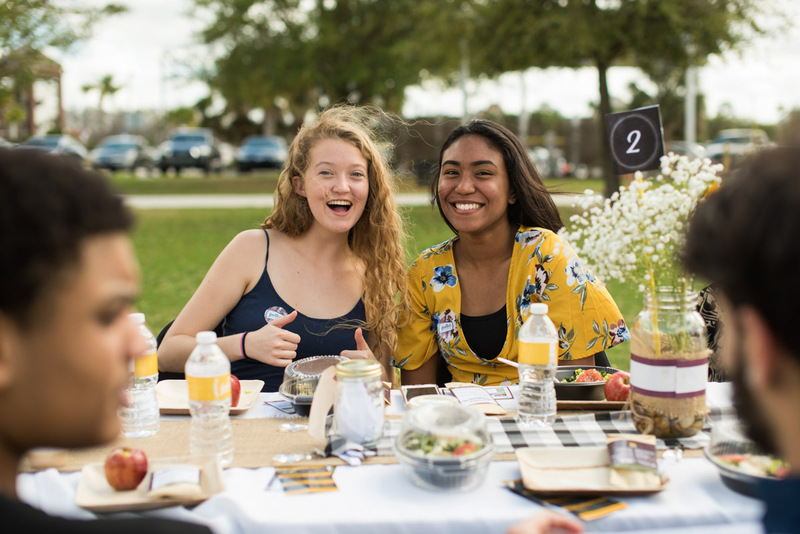 The hour-long dining experience gave students the chance to meet new people, hang out with old friends and enjoy some healthy food. 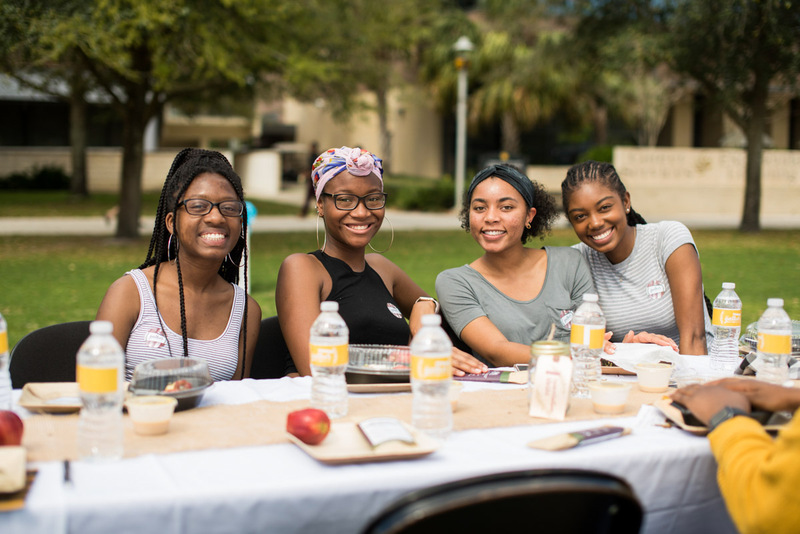 Organized by Wellness and Health Promotion services, the event aimed to promote diversity, community building and face-to-face conversations. 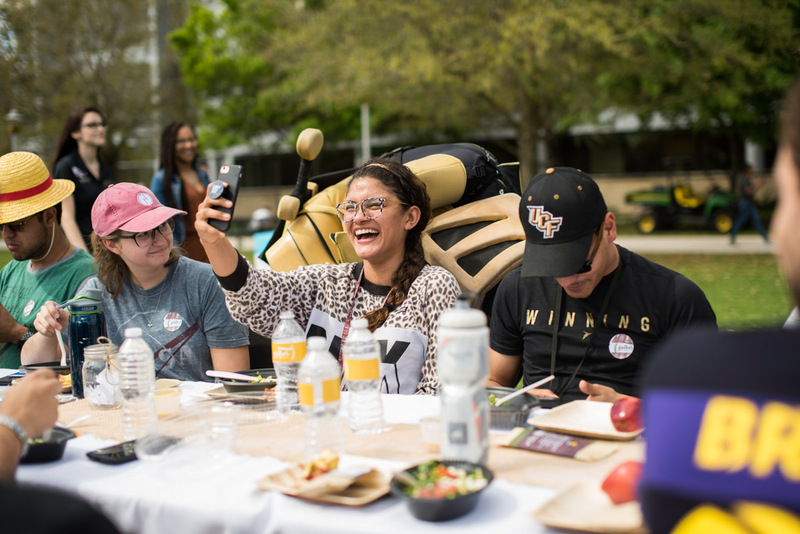 Meals were served on a first-come, first-served basis to students who brought their UCF IDs. 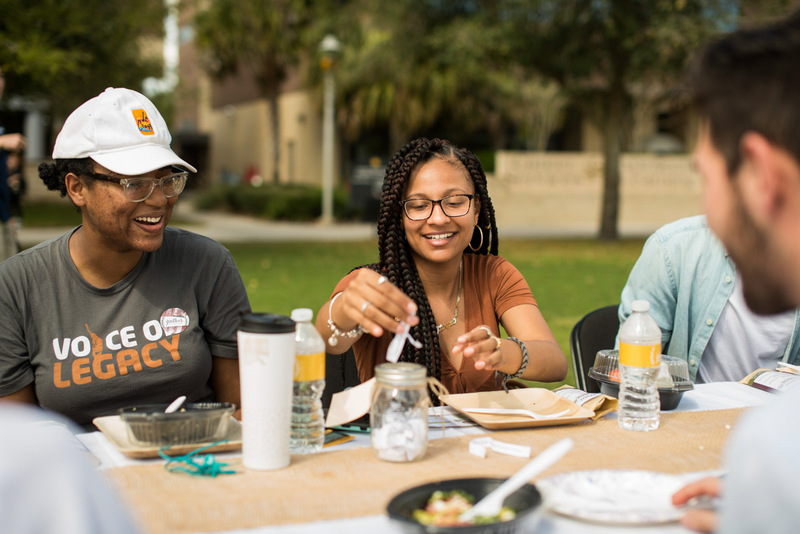 1"We believe food is love, so [we wanted to] have everyone come and enjoy a family meal, put down their cellphones, talk to each other and make a new friend," says Director for Wellness and Health Promotion Services Maureen Hawkins. 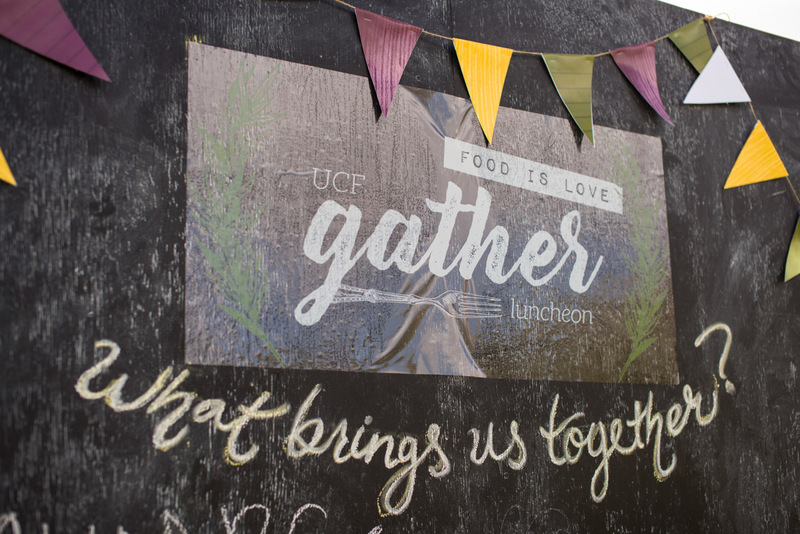 2Students were served a greens and grains salads made by UCF Dining Services, chicken or veggie pitas from Pita Pit, and cookies and brownies from UCF Housing. "We have apples, salads and veggies pitas to give everyone a healthy meal to start their day," Hawkins says. 3Jars of questions provided ice breakers for everyone to get to know one another. One student asked her fellow diners, "Which are better Pizza Rolls or Bagel Bites?" 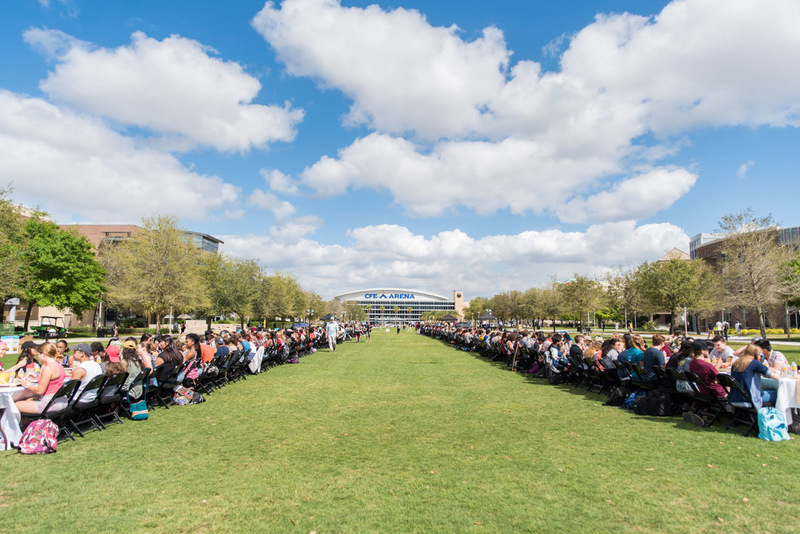 4Much longer than the average Thanksgiving table, student seating took up most of the space on Memory Mall's lawn. 5Student were able to write what they think brings everyone together on a chalkboard at one end of the tables. 6Junior elementary education major Kelly Ordonez takes a selfie with Knightro before eating her appetizer. "I don't usually socialize in class. I leave class and go home, so it's nice to actually talk to other people," Ordonez says. 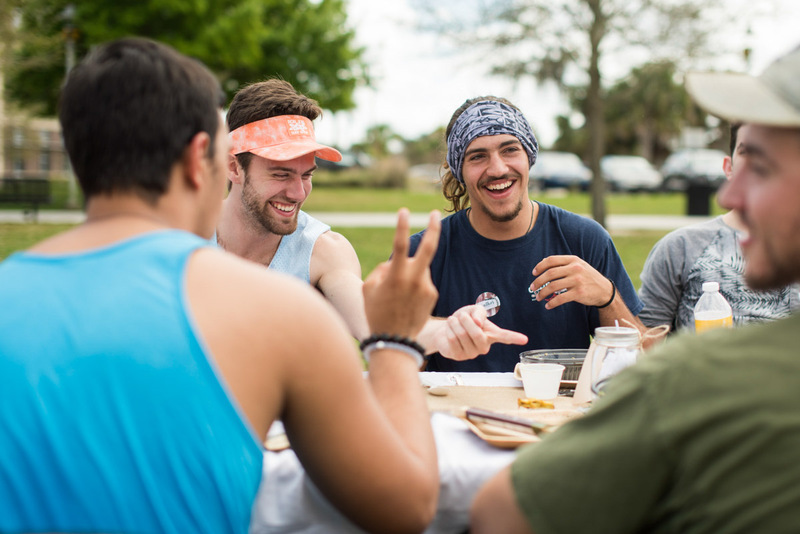 7Sophomore nursing major Niko Manheio laughs along with his friends as they wait for the main course to arrive. "A lot of our volleyball team is here today to meet other people and eat some food, so it's been really enjoyable," Manheio says. 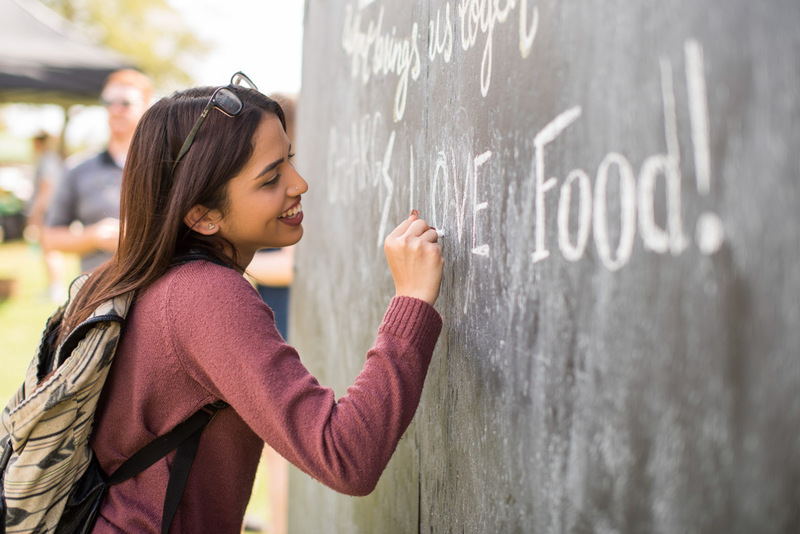 8Junior psychology major Celinda Colon adds the word "love" to the board after finishing her meal. "Love unites everyone together and I think it's awesome that we can gather everyone together here today to spend some time together," Colon says. 9A group of freshman all agreed that although it was hot outside, the free meal and chance to hang out together was worth it.